Temp. Controller	: PID control, Digital 45 x 45 mm. 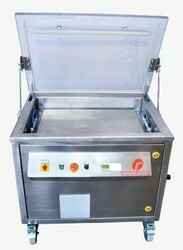 Capacity: 200 gm - 2 Kg . Compressed Air: 6-8 kg/cm sq. Filling Range: 30 gms. to 250 gms. Electric Control: By PLC & touch screen HMI. Packing Range: Minimum 10 gms. Maximum 2 Kg. 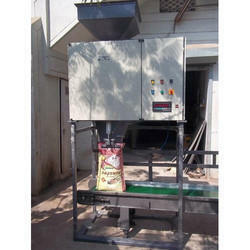 Filling Type: Automatic 14 Head Multihead Weigher Filling System. Air Required: 6CFM 10 Bar.